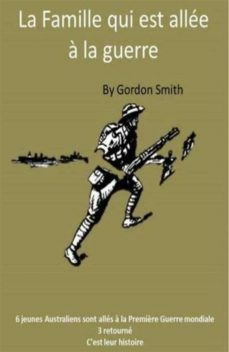 This book is on the life of a family during the First World War. The Family that went to War” is set back in the early 1900’s during wartime. The story follows six Australian family members as they each choose to go and fight for varying personal reasons. The book recounts their highs, lows, struggles as well as triumphs. It is both inspiring and heartbreaking about what these people were leaving behind (including families and children) and what hardships they faced on their journeys. The story covers their journeys through the war in Europe and explores some of their complex characteristics and the summary of the lives of the three who returned. It also highlights the anguish of the mother whose son was lost on the battlefields of Fromelles and whose body still as not been identified one hundred years later’ Six family members went to war. Only three returned!